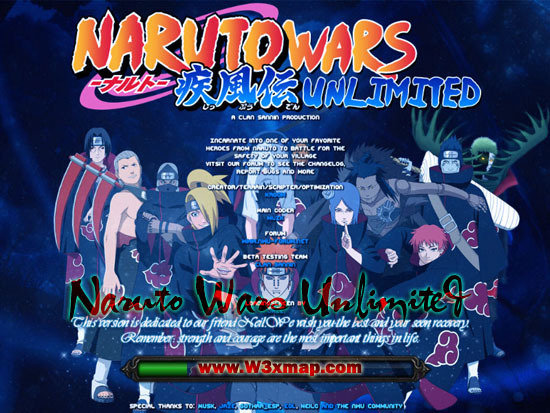 Choose from 48 of your favorite heroes from Naruto in a battle to defend your village. Increased Clay Spiders MS from 250 to 300, and Damage from 250 to 270. Decreased Komu no Jutsu manacost from 100/150/250/350 to 100/150/200/250. Decreased Yokai no Jutsu manacost from 115/160/205/250 to 125/150/175/200. Decreased Lava Globs manacost from 55/90/125/160 to 50/80/110/140. 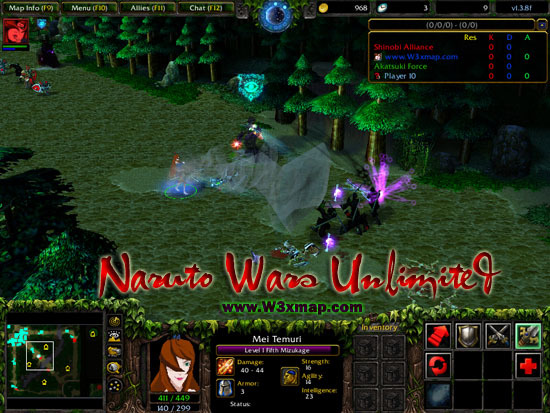 – Fixed the bug that akatsuki creeps don’t attack Hokage Building. – Now amen is droping on death. – Remove the random small vision around the map. – afk command now works. – Fixed Poison Gauntlets attack damage. – Now Yondaime’s Rasengan works with his Ultimate.